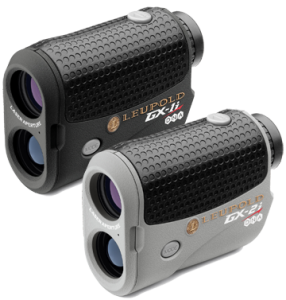 In the GX-2i Leupold makes us of True Golf Range (TGR) and Club Selector for distance information factoring slope to the usual line of sight distance measurement plus temperature and altitude to arrive at an adjusted “plays like” yardage. For example a shot from 150 yards straight line to the pin with an uphill slope of six degrees plays as if it were 164 yards. If the user inputs the distance of three specific clubs the Club Selector feature will show which club to use for each shot. Both the GX-1i and GX-2i are weatherproof, lightweight (6.1 ounces) and compact and measuring 4.1 inches long, 2.9 inches high and 1.3 inches wide. 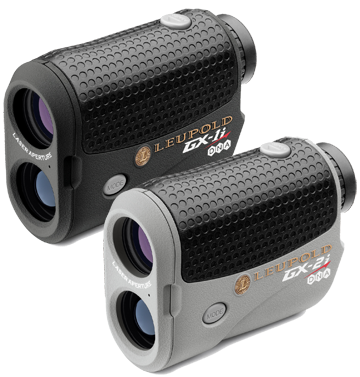 A magnification factor of 6X is standard and the scan mode may be activated with just one touch. Suggested retail for the GX-1i is $374.99 and $439.99 for the GX-2i.